Police have charged a 48-year-old man in connection with a $1.2 million fraudulent investment scheme. In November 2014 police received a report of a fraud involving multiple investors. 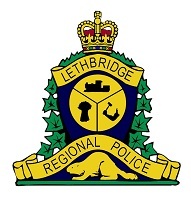 Members of the Economic Crimes Unit assumed the investigation and subsequently determined that between September 2009 and March 2014 a man, who was working as a mortgage associate in Lethbridge at the time, used his position to approach numerous acquaintances to solicit funds he said would be used as “bridge financing” for his real estate clients. He promised a high rate of return and received funds from nine people totaling approximately $1.2 million. The money was deposited in the accused’ bank account for personal gain. The man attended the police station last week and was subsequently arrested without incident. Bryan Wilfred Clemens, 48, of Oliver, BC is charged with fraud over $5,000 and laundering the proceeds of crime. Clemens is scheduled to appear in court Dec. 2. Police have not ruled out the possibility of additional victims. Anyone who believes they have been victimized as a result of this investment fraud is asked to contact police 403-328-4444.